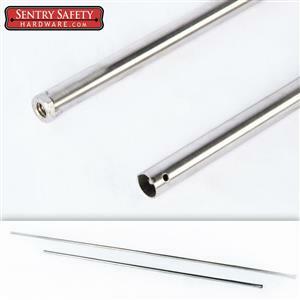 This stainless steel vertical rod will enable a standard panic bar to fit up to an 8 foot tall door. It will attach to the interior of the door replacing the standard top rod. The vertical bars are for dual door applications that are with out a post between the doors.